The evolution requirements cannot be ignored. ■ When the opponent is a red frame Digimon, add 610 to the attack power of your Ultimate level. 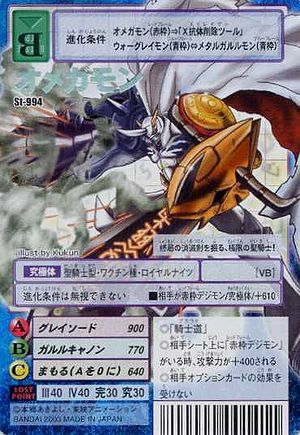 ◎When there is a red frame Digimon on the opponent's sheet, add 400 to your attack power. This page was last modified on 3 December 2016, at 21:15.